It was quick, as far as a trip to Europe goes from the Western U.S. But I’ve changed my mind a bit over the past couple years on the appropriate length for an overseas trip. Previously, I wouldn’t have even considered going for anything less than 2 weeks (SEE: Thirty days in Europe). But we now have over half a million airline miles banked, which doesn’t even account for flexible points we could use as well. Time is the more constraining factor these days, so going for a week was fine by me, although it would have been nice to have stayed longer. Can you reasonably visit Paris in three days? The answer to this is: yes, yes you can. It may not be the extensive visit the city could definitely warrant, but it is enough to at least fit in the highlights. The one big skip for us was Versailles. We also skipped the Louvre, but I basically would have been dragging my kids through there all day. I’m not huge on art museums anyway. We spent a couple hours at Musée de l’Orangerie and that was enough. We fit in a good number of “must see” places in Paris, including the Eiffel Tower, Notre Dame, Luxembourg Gardens, Sacre-Couer, and the Arc de Triomphe. The kids favorite was the Eiffel Tower, even though I almost killed them by making them walk to the first and second levels. I told them it was for the “real” experience, and for building character. But it was also for my wallet, as it is substantially cheaper. If you’re wondering whether you should take your kids, the answer is yes! 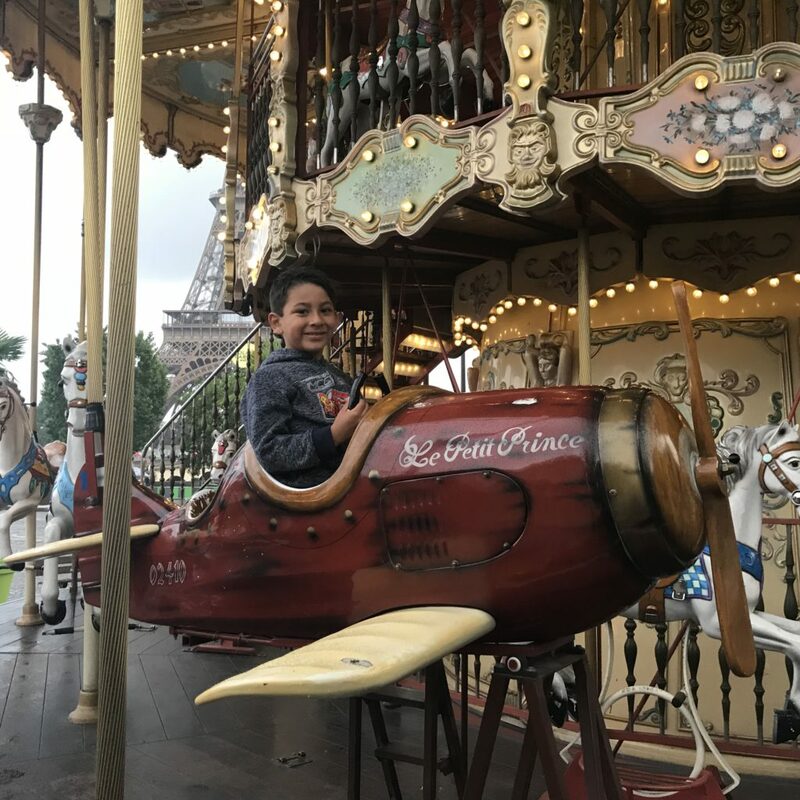 Even as short as our visit was, Paris is a great place for families to enjoy (SEE: 3 reasons why you should visit Paris with kids) . I know there have been some protests lately, so do your research, or consider waiting until things calm down. I’d be comfortable still traveling at this time my myself, but probably not with my two kids. What is there to see in Luxembourg? Then it was off to a tiny country sandwiched between France, Belgium and Germany for a couple more days. Luxembourg might be small, but it has a good amount to offer. The old city is beautiful, and we enjoyed a good half day of walking and wandering. If shopping is your thing, you’re also in luck. There is plenty of opportunity in this wealthy tax haven. We didn’t wander outside the capital, but there are castles to see and some great hiking from everything I read. Two days was enough, but we could have easily stayed for twice that. I’m fascinated by tiny countries. On our previous trip to Europe we visited Monaco, San Marino, and The Vatican. I’m already penciling out how to make it to Andorra and Liechtenstein in the next few years. Our adventure ended with a drive across the rolling hills of Lorraine and Champagne as we headed back to Charles de Gaulle Airport for our flight home. It might seem crazy to drive in Europe instead of taking the train, but it worked for us. Plus, I love driving, and I had a blast in our tiny manual Citroen (SEE: 5 reasons you should rent a car with a manual transmission). Liechtenstein is amazingly beautiful but brutally expensive. Just a day trip is sufficient to see this tiny country. Luxembourg City and the immediately surrounding area is a great stop for a history buff. There is the WWII U.S. military cemetery just outside the city with GEN George S. Patton Jr. and four members of E/506th (Band of Brothers) interred there. There are walking tours day and night of the city offered in multiple languages. Their Christmas market in December is a great place for a few glasses of gluhwein. Thanks, Brian! We were able to visit the cemetery, and Patton’s grave, albeit briefly. Heading to Germany and Luxembourg during Christmastime is definitely something I’d like to do. I just don’t know when we’ll fit it in.